书籍简介: SOMEONE WILL MAKE MONEY ON YOUR FUNDS-WHY NOT YOU? \\\\\\\\\\\\\\\\\\\\\\\\\\\\\\\\\\\\\\\\\\\\\\\\\\\\\\\\\\\\\\\\\\\\\\\\\\\\\\\\\\\\\\\\"This book is a treasure trove of practical research and pithy thoughts based on Gastineau's decades of experience; a valuable guide for the thoughtful investor.\\\\\\\\\\\\\\\\\\\\\\\\\\\\\\\\\\\\\\\\\\\\\\\\\\\\\\\\\\\\\\\\\\\\\\\\\\\\\\\\\\\\\\\\"
\\\\\\\\\\\\\\\\\\\\\\\\\\\\\\\\\\\\\\\\\\\\\\\\\\\\\\\\\\\\\\\\\\\\\\\\\\\\\\\\\\\\\\\\"Someone Will Make Money On Your Funds - Why Not You? will jar armchair mutual fund investors out of their PJ's. If you think checking out your funds in Morningstar and Lipper has you covered, you best read this book.\\\\\\\\\\\\\\\\\\\\\\\\\\\\\\\\\\\\\\\\\\\\\\\\\\\\\\\\\\\\\\\\\\\\\\\\\\\\\\\\\\\\\\\\"
\\\\\\\\\\\\\\\\\\\\\\\\\\\\\\\\\\\\\\\\\\\\\\\\\\\\\\\\\\\\\\\\\\\\\\\\\\\\\\\\\\\\\\\\"This book is a must-read for fund investors. Gastineau carefully discusses many important factors such as taxes, capital gains overhang, trading costs, turnover, benchmark selection, active management, expense ratio, and aggressive trading by market timers. These factors significantly affect fund performance but may be ignored by investors. Gastineau goes on to build a strong case for choosing ETFs over mutual funds, especially for long-term investors. 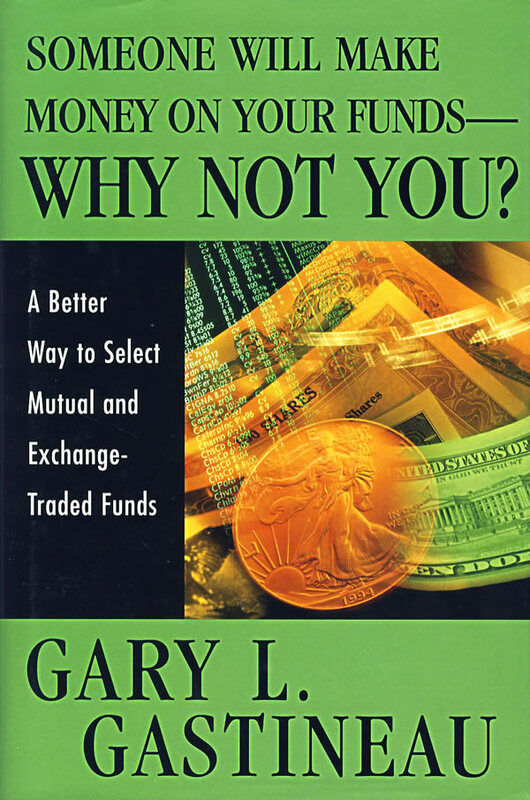 I strongly recommend this book for investors.\\\\\\\\\\\\\\\\\\\\\\\\\\\\\\\\\\\\\\\\\\\\\\\\\\\\\\\\\\\\\\\\\\\\\\\\\\\\\\\\\\\\\\\\"
\\\\\\\\\\\\\\\\\\\\\\\\\\\\\\\\\\\\\\\\\\\\\\\\\\\\\\\\\\\\\\\\\\\\\\\\\\\\\\\\\\\\\\\\"Gastineau's message is very powerful. He not only challenges some conventional wisdom on investing, but truly emphasizes how to add value to a portfolio. What is unique is his ability to move quickly from the big picture to implementation strategies offering investment solutions to both investment advisors and individual investors. Portfolio adjustments discussed can potentially have significant impact on a long-term investor's standard of living.\\\\\\\\\\\\\\\\\\\\\\\\\\\\\\\\\\\\\\\\\\\\\\\\\\\\\\\\\\\\\\\\\\\\\\\\\\\\\\\\\\\\\\\\"
―Dan Dolan, Director, Wealth Management Strategies, Select Sector SPDRs.